Draper, William "Bill" Belyea, Antigonish, passed away peacefully on March 1, 2019 at the R.K. MacDonald Nursing Home with his family by his side. Born in Brandon, Manitoba, he was the son of the late William Ewart and Hazel Belyea Draper. Bill received his CA designation at the age of 20 in 1946. He was the youngest ever in Canada to receive this designation. He was a senior partner with H.R. Doane and Company. During this time he worked in communities in Nova Scotia and Newfoundland. Bill was very active in the Business area in the community of Antigonish and the communities where he resided. In Antigonish, he was a Board Member of the St. Martha’s Hospital Foundation, a board member of the Building For Youth and executive member of the Junior Bulldogs in the 1970’s. Sports was an important part of his life. He enjoyed tennis as a young man and later golf and skiing, His favourite part of his day was walking his dog, Sheba. He was a talented musician, prolific reader, gardener, carpenter and he enjoyed working in the kitchen. Our dad will be missed for his generosity, kindness, his eternal patience and his humor. In his world, he put everyone else first in seeing that their needs were met. We will always appreciate his gentleness, his expert leadership and his positive attitude. Bill is survived by his four children: Mary Lou Hansen (Tony), P.E.I. ; Bill Draper (Ann), B.C. ; Donald Draper (Diana), California; Dennis Draper (Marian), Antigonish. He will be missed by eleven grandchildren: Colin, Lindsay and Brendan Hansen; Laurel and Jeffrey Draper; Sarah Sandoval, Wesley Draper and Matthew, David, Andrew and Katie Draper; seven great grandsons: Alex Hansen; Drew Hansen Murphy; Max and Hank Hansen; Micah, Adal and Ian Sandoval; sister: Beverly Davis (late Jack Davis), Markham, Ont. 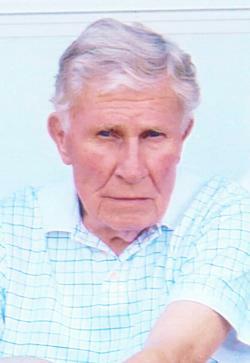 ; brother, Donald K. Draper (late Pat Draper), London, Ont. and several nieces and nephews. He was predeceased by his wife Connie (Macdonell) Draper. Visitation will be in C.L. Curry Funeral Home, 135 College Street, Antigonish on Monday, March 4th from 2 to 4 and 7 to 9 pm. Funeral Mass will be celebrated in St. Ninian Cathedral on Tuesday at 11:00 am with Reverend Donald MacGillivray presiding. Burial in the parish cemetery at a later date. R.K MacDonald Foundation, St. Martha's Foundation or charity of choice.